Proven Health Benefits of Blackcurrant that you need know. Moreover, the Blackcurrant contains properties beneficial for prevent and fight various diseases. Then, check the benefits of Blackcurrant for health. Like to know what the benefits of Blackcurrant are? Know the properties of Blackcurrant: main benefits, nutrients, vitamins and origin. Are you suffering from poor cardiac health? Is your hair thinning at an alarming rate? Do you want to stop those untimely signs of aging? If the answers of all these questions are ‘yes’, you should include the black currant fruit in your diet immediately.What is Black Currant? These small black berries are rich in vital vitamins, essential minerals, antioxidants and many other healthy nutrients that are extensively beneficial for your health, skin and hair. 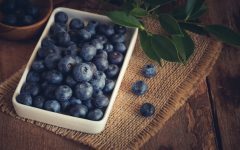 Benefits of Blackcurrant for Keeps Our Cardiovascular System Healthy: Eating blackcurrant on a regular and moderate basis is very beneficial for our heart as it helps in keeping our heart healthy and reduces the risk of various cardiovascular problems like heart attack, stroke, irregular heartbeat etc. This benefit of blackcurrant is mainly due to the presence of polyphenolic compounds like flavonoids in them. 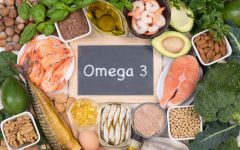 In addition to this, they are also a rich source of antioxidants that prevents the inner walls of our arteries from oxidative damage and also minimizes the formation of toxic substances on the interior walls of blood vessels. 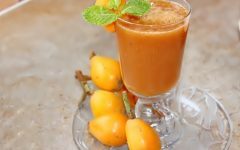 This helps in the smoother flow of blood through our cardiovascular system and thus keeps it healthy. Provides Anti-Inflammatory Benefits: Blackcurrant is anti-inflammatory in nature and this makes them very beneficial for providing relief from anti-inflammatory diseases like rheumatoid arthritis, gouts etc. This benefit of blackcurrant is mainly due to the presence of Vitamin C in it. In addition to this, blackcurrant is also a good source of gamma-linolenic acid ( GLA) which is very beneficial for easing inflammation in our body. It may help in reducing joint pain, stiffness,soreness of joints etc. Assist In Energy Production: Eating blackcurrant on a regular basis is also beneficial for the production of energy in our body. This benefit of blackcurrant is mainly due to the presence of vital nutrient manganese in it. Manganese can assist some enzymes responsible for the production of energy in our body. 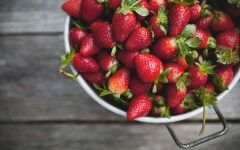 In addition to this, manganese also plays an important role in strengthening the antioxidants defense in our body. 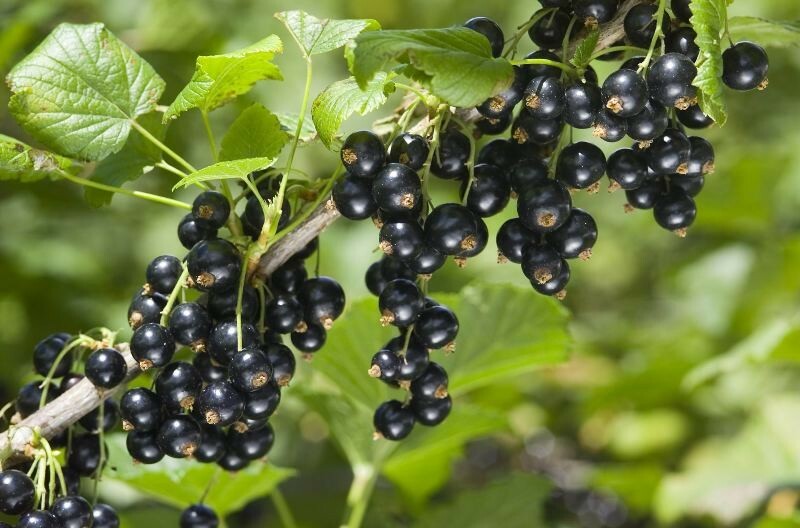 Benefits of Blackcurrant for Vitamin A: Vitamin A content of black currents is useful in maintaining eye health. This helps you avoid vision loss by increasing your vision and visual power. Benefits of Blackcurrant for Provides Herbal Benefits: Blackcurrant is widely used as an herbal medicine in many parts of the Europe. It is taken by women for easing PMS and menopause symptoms. Some other herbal benefits of blackcurrant include treating cold, flu, and fevers. Almost every part, be it leaves, seed oil, fruits etc. of blackcurrant plant is used as medicine. Benefits of Blackcurrant for Antioxidant: The presence of antioxidant vitamin C in black currants turns them into a great immunity booster. As your immune system becomes stronger, you don’t get vulnerable to cold, fever and infection. Vitamin C and other antioxidants present in black currants are also known to stop premature aging. Black currants have excellent anti-bacterial properties as they are loaded with two chemical compounds – tannin and anthocyanin. Both of them can prevent the growth of bacteria within the urinary tract. Helps In Controlling High Blood Pressure: Blackcurrant is very beneficial for the individuals who are struggling with high blood pressure. Regular and moderate consumption of blackcurrant is very beneficial for reducing the risk of high blood pressure or hypertension because of the presence of potassium in it. Potassium is a natural vasodilator which relaxes our blood vessels and ensures smooth flow of blood and thus helps in regulating blood pressure. In addition to the blood pressure regulation, blackcurrant also helps in reducing the risk of heart attack and/or stroke. As per a French study, it was found that GLA present in blackcurrant slow down the platelets clumping in our blood vessels. Is A Rich Source of Omega-3 Fatty Acid: Blackcurrants are also a good source of Omega-3 fatty acids and presence of Omega-3 makes them very beneficial for regulating cholesterol level in our body. 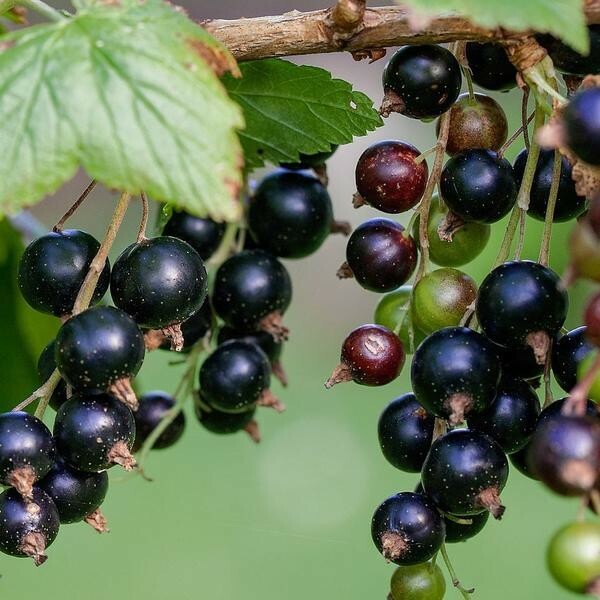 Eating blackcurrant on a regular and moderate basis lowers LDL cholesterol level ( aka LDL cholesterol) and at the same time, boosts good cholesterol level ( aka HDL cholesterol). Too much LDL cholesterol is bad for our health as it gets deposited within the arteries and blood vessels block them and thus increases the risk of various cardiovascular problems like heart attack, heart stroke, irregular heartbeat etc.